Across the United States and the world, a collective display of strength and resilience. This 18-year-old survivor of February’s school shooting in Parkland, Florida, took the stage at Saturday’s March for Our Lives in Washington, D.C. for six minutes and 20 seconds — the same amount of time it took for the shooter to murder 17 members of Marjory Stoneman Douglas High School on Valentine’s Day. 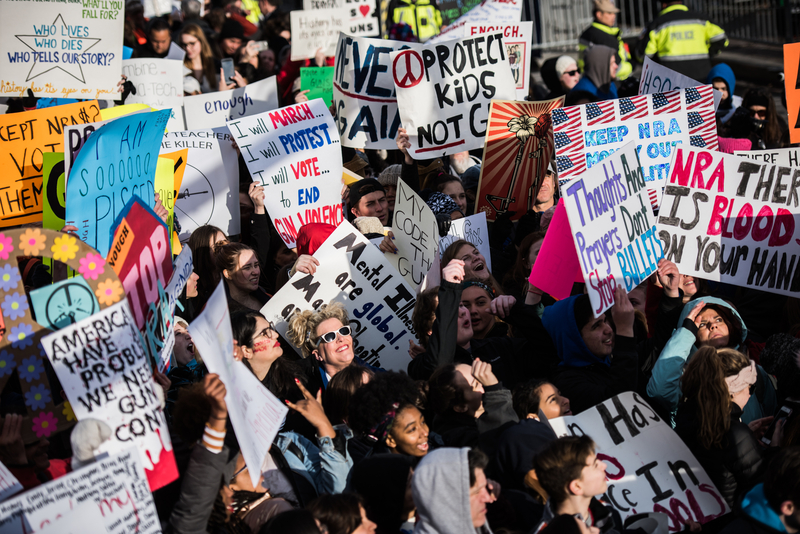 Delaney Tarr, another Parkland shooting survivor, told the crowd in Washington that the students were not going to accept anything but “real change.” She said they were frustrated at the political inaction regarding gun control and tired of being neglected. Among the many passionate speakers who’ve lost loved ones to gun-related deaths was Edna Chavez, whose words moved the crowd to tears. The Los Angeles teen spoke about her brother, Ricardo, who was killed by a bullet while he was at school. Chavez’s heart-wrenching speech addressed the psychological repercussions survivors face in the aftermath of tragedy. “I am here today to acknowledge and represent the African-American girls whose stories don’t make the front page of every national newspaper, whose stories don’t lead on the evening news,” she said. When Marjory Stoneman Douglas student David Hogg stood before the crowd, he ardently urged people to “put the USA over the NRA.” He said everyone in support of this movement must band together and “make this the voting issue” at the midterm elections in November.